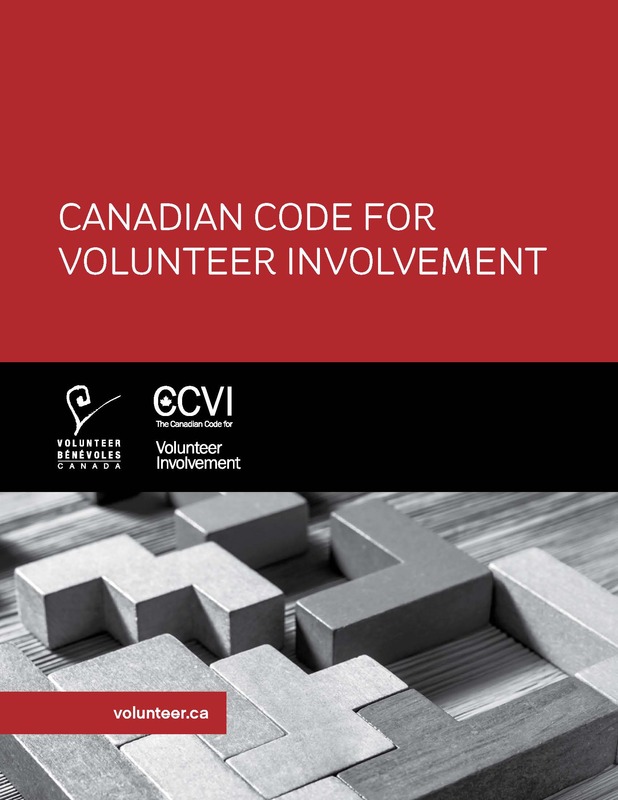 Volunteer Canada created the Canadian Code for Volunteer Involvement (CCVI) to support organizations that engage volunteers. The CCVI is a guide for involving volunteers in all levels of an organization. This includes volunteers working in leadership, direct service and virtual roles. We encourage all organizations to use the CCVI as a guide for engaging volunteers. Download the Canadian Code for Volunteer Involvement to design and implement your volunteer program. The CCVI aims to improve volunteer involvement across the county. It is designed to be adaptable and can be adopted and implemented by organizations of all sizes. The CCVI clearly states the values and benefits of volunteer involvement. It provides a framework for discussion and decision-making within organizations. It also promotes meaningful volunteer involvement that meets the needs of both the organization and its volunteers. Now that your organization is familiar with and has adopted the CCVI, use this series of checklists to implement the CCVI ten standards of practice. The member-exclusive online Code Audit Tool is built to align with the CCVI and helps your organization assess and analyze its volunteer involvement strategies and practices. It includes suggested steps, tools and resources to increase the positive impact of your volunteer program on the mission of your organization and on your volunteers. Complete the Code Audit as part of your CCVI adoption or regular review. Check out this quick tutorial to learn more about the Code Audit and how it works! To learn more about becoming a member of Volunteer Canada, click here.